WORKING IN SPAIN – IS IT VIABLE? Everyone knows, of course, that Spain is in the middle of an economic crisis. Unemployment is frighteningly high (around 20%), credit is difficult to obtain and the collapse of the Spanish construction industry has affected a whole series of associated or related businesses. So, should you assume that working in Spain is simply not viable – at least for the time being? Well, if you intend ‘bowling’ into Spain without a plan, very particular skill or ‘know-how’ then the answer is almost certainly yes! However, know what you are doing and how things work here and you will find work in Spain. As we say, time and again, in The Secrets to Working and Making a Living in Spain there are opportunities here, albeit that you need to think laterally or aim for a couple of stable growth industries. One of the latter is teaching English – the importance and profitability (and fun!) of which should not be discounted. Meanwhile, the Spanish property boom (with its largely unskilled workforce and poor building control) has left a lot of debris behind it relating to house construction. This opens the door to considerable opportunities to those with particular construction related skills. Indeed, for qualified building surveyors, underpinning experts and so on the problems are so extensive that Spain is a veritable ‘feeding’ ground for those seeking (and able to provide) this type of specific problem solving work. However, not everyone has specific skills to offer that fit within the limited scope of what is possible in Spain now. If this is the case for you then you are not doomed! Indeed, our solution is for you to learn how make to money from working on the Internet (whether full or part time). Does this sound ridiculous or impossible? Are you non-techie and someone who has never considered working on the Internet? Is this unknown territory? If so, then you should read “Secrets” because the truth is that making your living from the Internet is possible – in fact, not only is it possible but it allows you to earn your living anywhere in the world (so long as you have an Internet connection). The great thing is that earning a living on the Internet encompasses a vast range of activities – amongst which you will certainly find earning activities that suit the skills you already have. Indeed, many ways of making money on the Internet such as web marketing and trading (such as with domain names) mimic conventional work and all you need to do is to adapt them for cyberspace. In many cases, this is easily done. Can you really learn to operate on the Internet and make it work for you and earn money from it – I hear you ask? You can – and much of “Secrets” is devoted to taking you step by step simply and clearly through how the Internet works – and then how to make it work for you. Quickly you will see that you can make a living by providing services to others and/or start up your own business and then capitalise upon opportunities that you may never have dreamt of! Indeed, if you are seeking to work in Spain then it is our contention that working on the Internet (the great growth business of the 21st Century) is the answer. Can you really afford not to know how to use it? In any event, where else can you start a business that is virtually risk free, has almost no overheads and can be done just about anywhere in the world (whilst operating worldwide)? 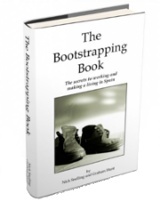 ‘The Secrets to Working and Making a Living in Spain’ is available here. 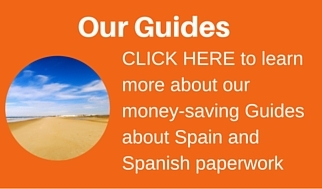 CLICK HERE to discover the costs involved in setting up an SL Company in Spain.